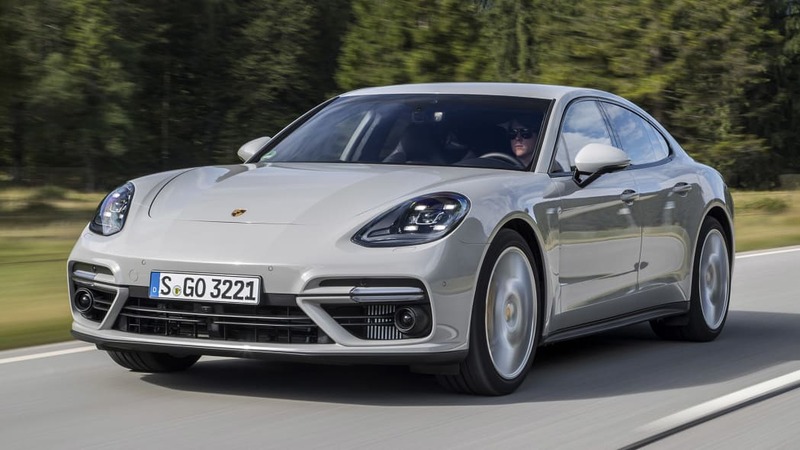 Autoblog rating for the Porsche Panamera is not available. Please check back later. 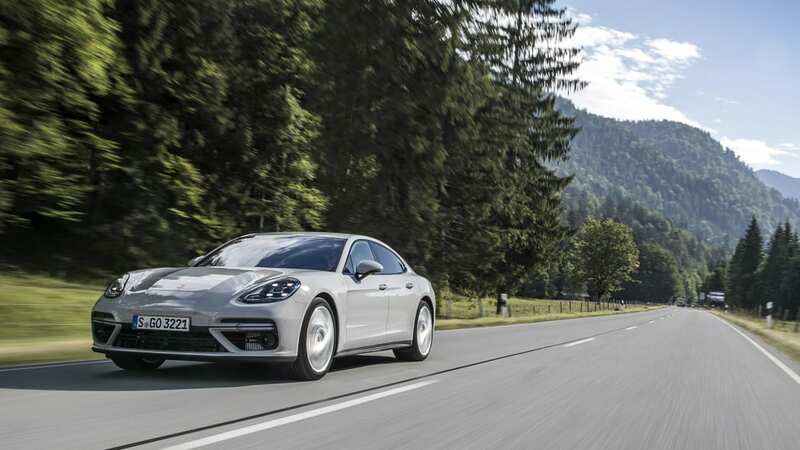 The Porsche Panamera didn't need much improving. Okay, the humpback design was short of pretty, and people really liked complaining about the Spine of Many Buttons down the center console. But once you sat down in one (and could no longer see the shape) then set the chassis how you wanted it, the nitpicking stopped. 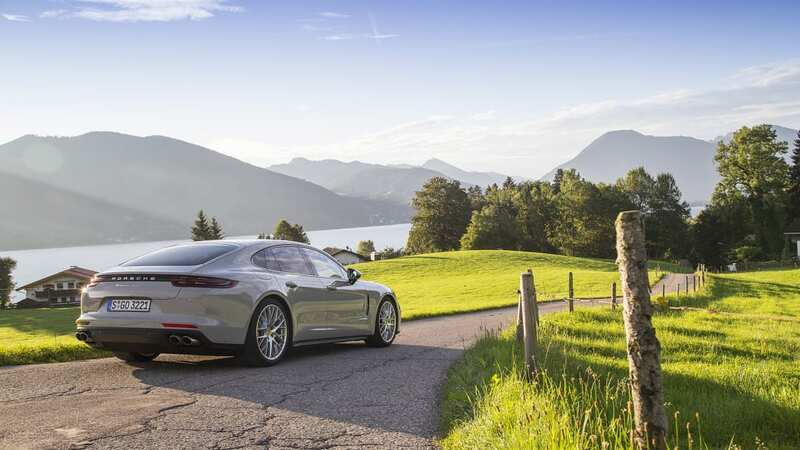 Now back for round two, the Panamera has been visited with improvement in almost every area. We'll start with the styling. 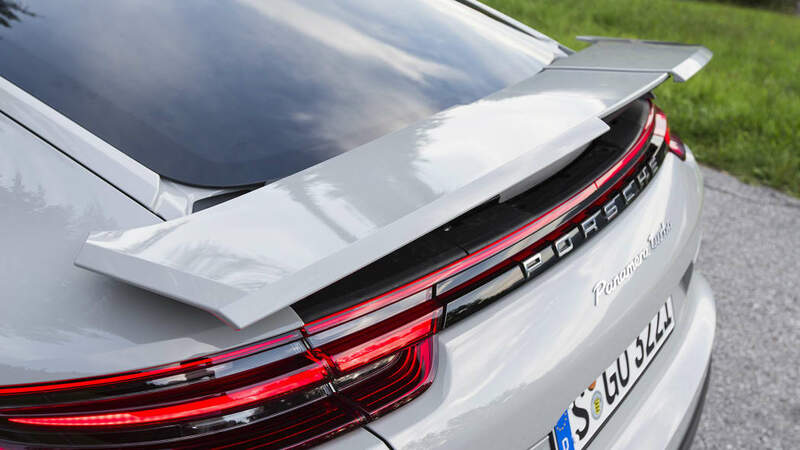 The 2017 design doesn't stray too far from the original's, but a handful of small changes come together to execute the stretched-911 look the car has always been going for – the rear roofline and side glass opening now mirror the sports car's. 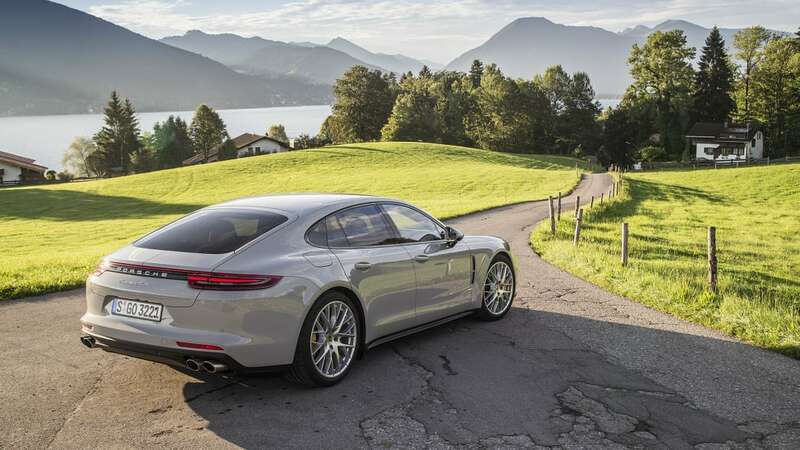 The back seat is no longer designed to fit a certain six-foot-six CEO, so the roof has been dropped slightly, although Porsche claims the seat cushion has been lowered by the same amount, making for a net-zero headroom change. 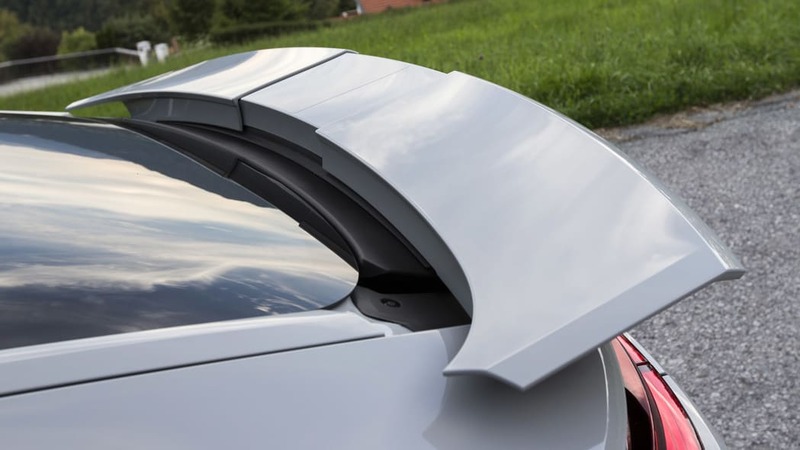 The 2017 car's more pronounced shoulders, rear glass that reaches back farther, and a greater taper toward the rear bring it all together. 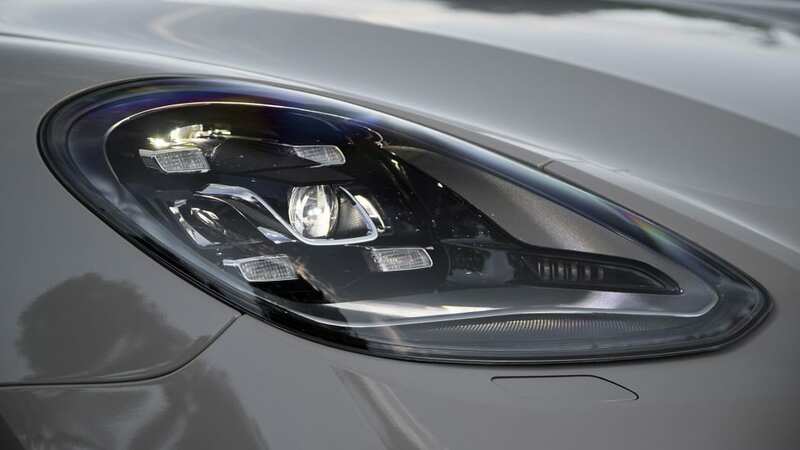 There was less change in front – it's hard to tell a difference between the parts ahead of the windshield on this car and the face-lifted first generation at a glance; that's fine by us. 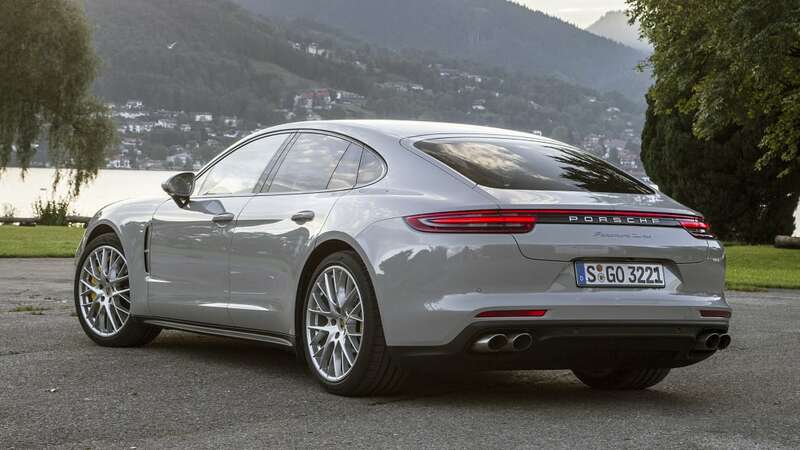 If you liked the first Panamera's design, you'll like this one. And if you didn't, well, you probably still will. And anyone who liked how the last one drove will be into the second-gen car. 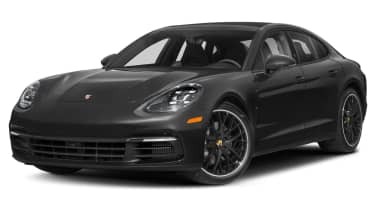 The original felt tight, composed, and amazingly Porsche-like, more so than the Cayenne SUV that busted out of the company's mold before it. 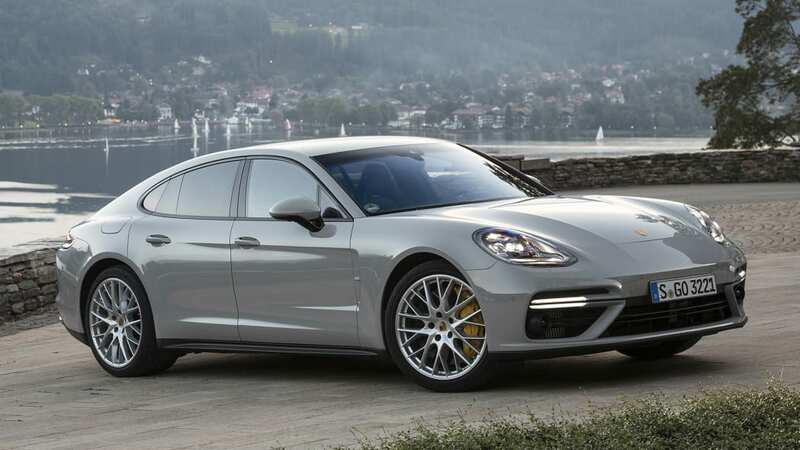 Porsche used its usual combination of technology and deft chassis tuning to make the first Panamera something more than a sporty sedan with a hatch on the back, and all of that carries over to this new one; the car is about the same size, with a slightly longer wheelbase, but it feels even smaller around you, which is mostly down to the many sophisticated chassis systems. 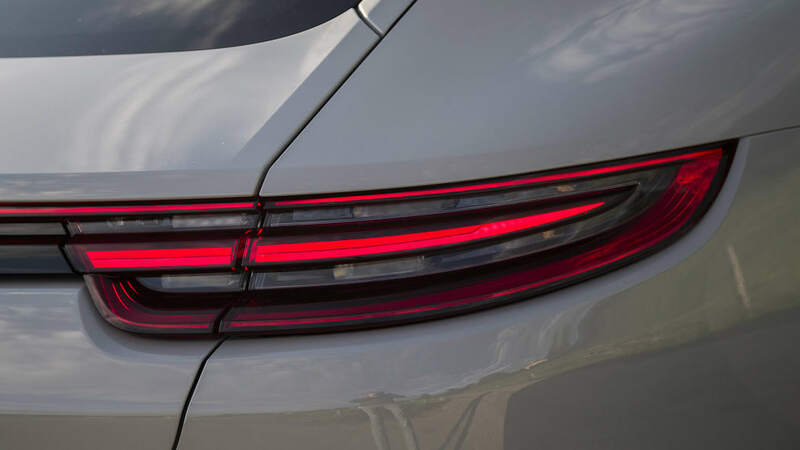 They're too numerous to even list here, but you can read our tech backgrounder story for more details on what makes the car tick. We'll focus instead on how it drives. 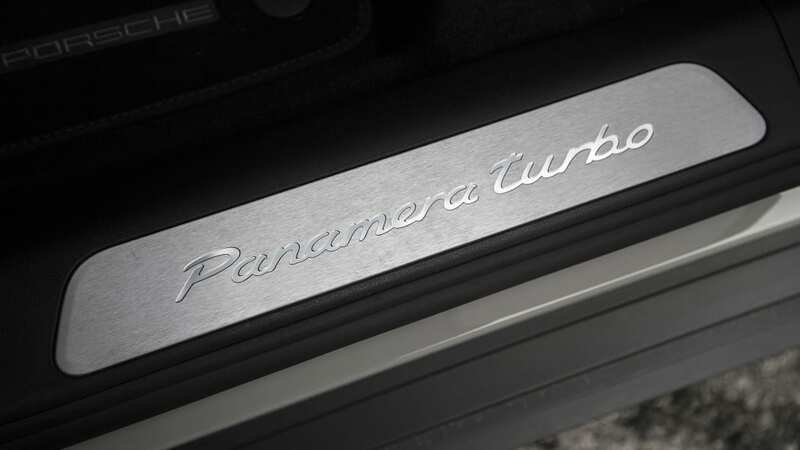 Although it has been changed, the steering manages to extend a through line from the last Panamera. 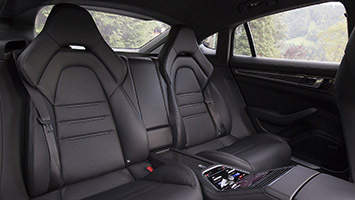 The rack switches from hydraulic to electric assist, but the weight and feedback are similar to what the old car provided, at least in Normal mode. 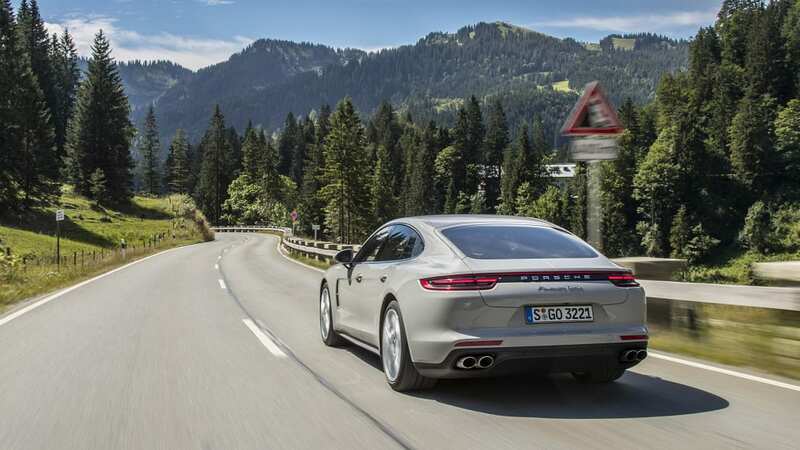 There is some added artificial resistance when advanced safety features such as lane keeping kick in, and you can up the weight by choosing one of the Sport chassis settings, but the new system retains the relaxed, precise attitude of the hydraulic rack. 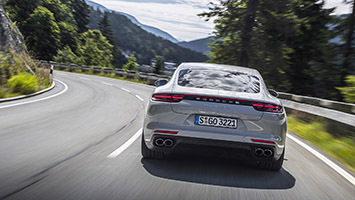 Porsche also gets points for adding rear-axle steering that you can't really feel working, but you know that it is – better than adding out-of-phase weirdness like other brands do. 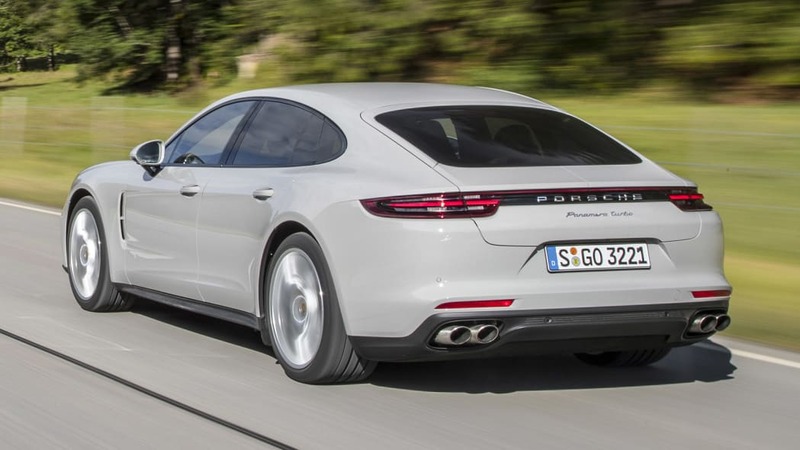 With the optional rear steering and torque vectoring, this big car rotates incredibly well. You'd think the wheelbase got shorter, not longer. 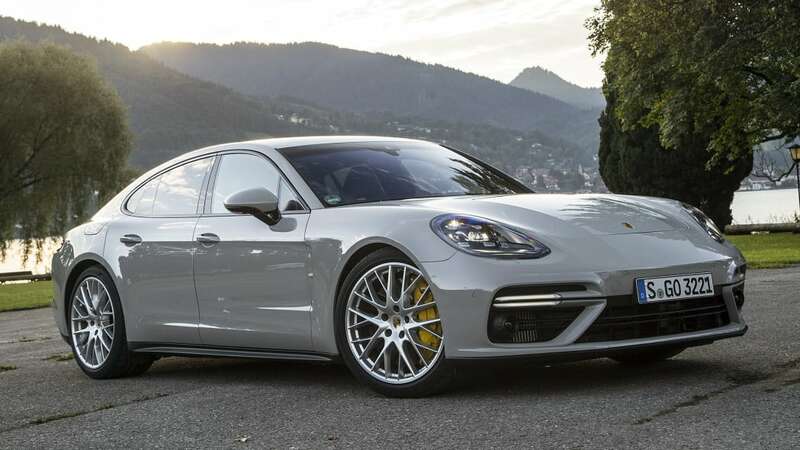 There are so many systems in the Panamera that Porsche invented a new over-system called 4D Chassis Control, which manages the subsystems and makes sure they all play nice together. You could look at this as just a fancy way of saying the systems are networked, but we trust the fact that it takes extra computing power, not just communication, to coordinate everything that's going on. There's no sensation that any one thing is fighting any other thing. 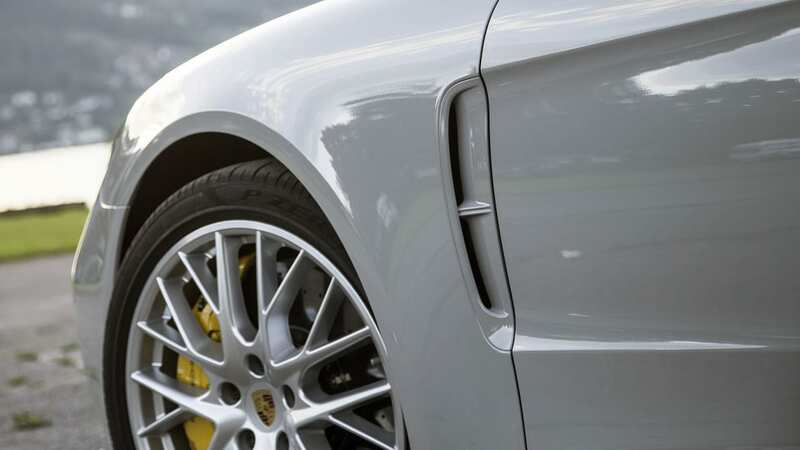 An example of well-managed complexity is the suspension, which is made up of several systems depending on the car's spec. 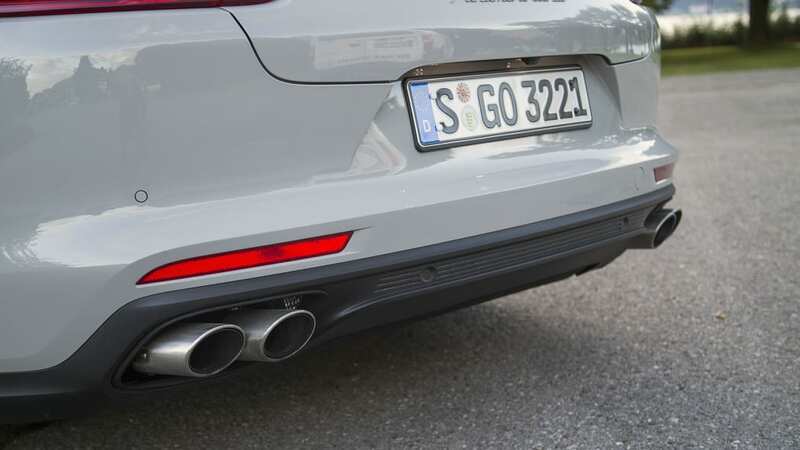 The standard adaptive dampers work with new air springs (available on 4S, included on Turbo) that improve the ride compared to the last car's – it's still taut, but less of the ugly stuff is transmitted through the chassis to the occupants, even in the firmest setting. The three-chamber system also makes the difference in ride quality between the three chassis modes more distinct – Normal uses all three chambers, Sport uses two, and Sport Plus just one. There's also a new optional 48-volt electric anti-roll bar system that staves off roll electrically (the first Panamera used a hydraulic system). 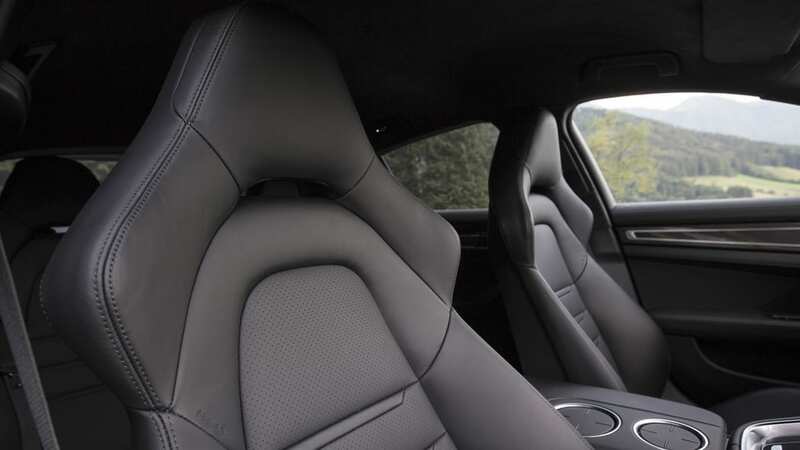 Where the previous suspension setup leaned more 911, sending the occupants constant feedback, this is more luxury sedan on a mission. That mission, of course, includes going very, very fast. 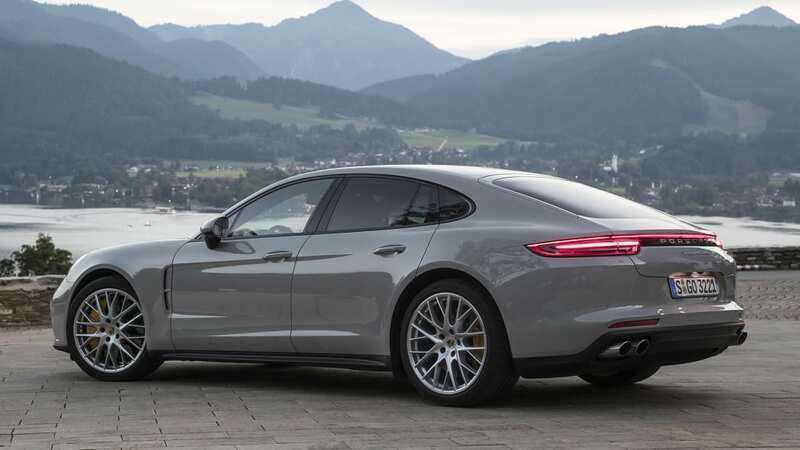 The 2017 Panamera is launching with two models, the 4S and Turbo. 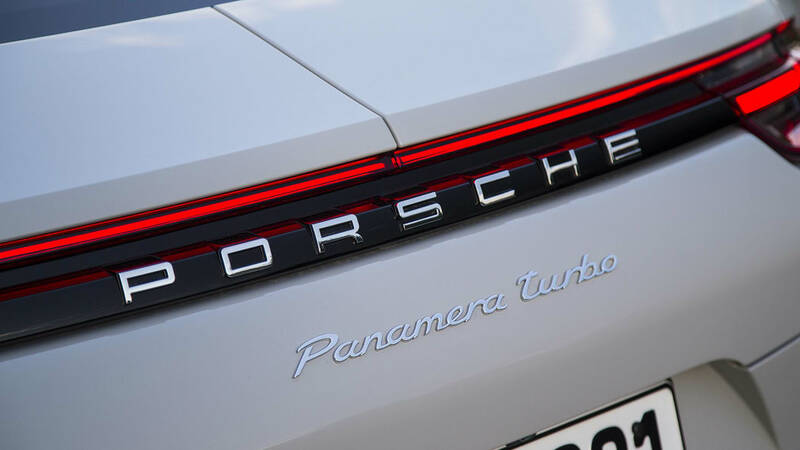 Like most Porsches these days, both come with turbochargers, but the company isn't letting go of the capital-T marketing name anytime soon. 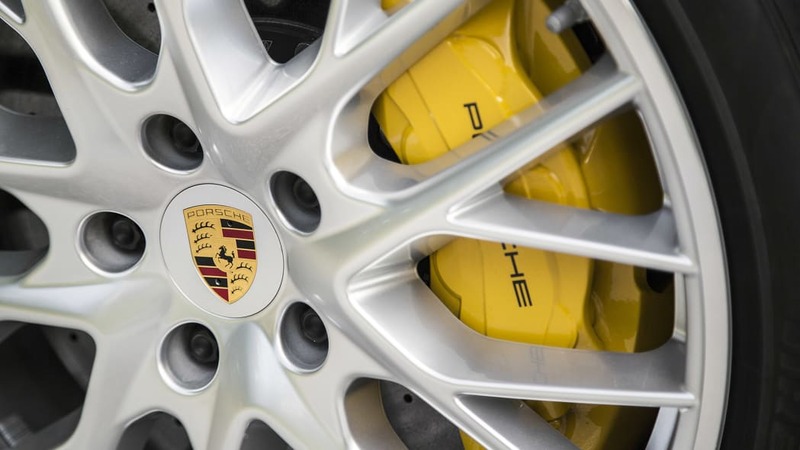 Both have standard all-wheel drive and a PDK dual-clutch transmission with one more gear, for a total of eight. 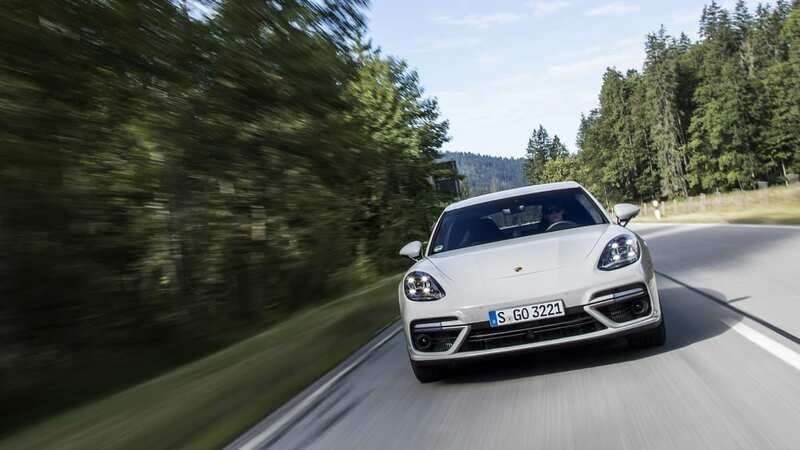 We spent most of our time in the 550-hp Turbo, but we also got a brief taste of the 4S's 440-hp twin-turbo V6, enough to tell you that the Turbo is way quicker (duh). 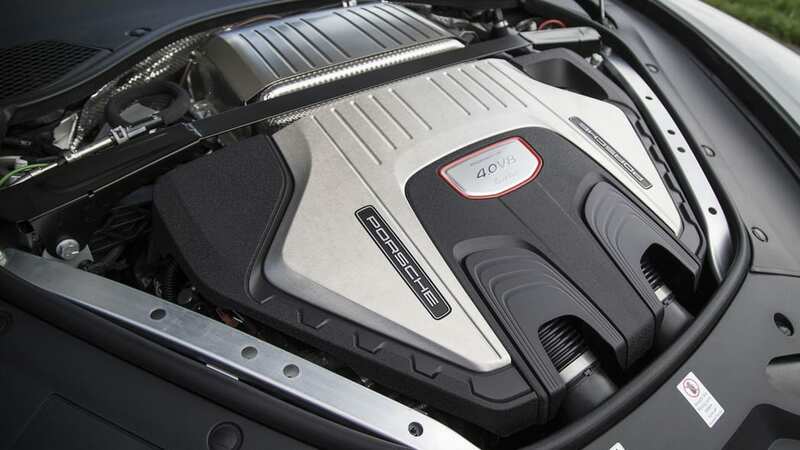 Its new 4.0-liter V8 is extremely flexible, with power and torque everywhere and minimal turbo lag. 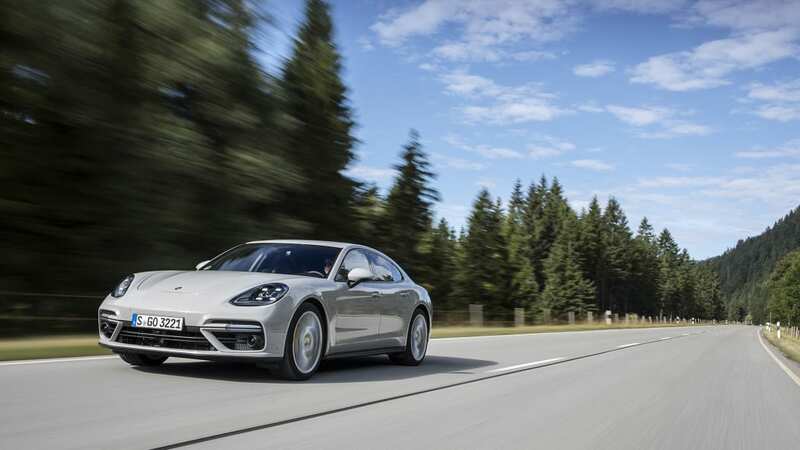 The extra gear in the transmission adds to that flexibility instead of tripping the powertrain up with too much choice or making slow shifts from a cruising gear to one that blasts you into hyperspeed. 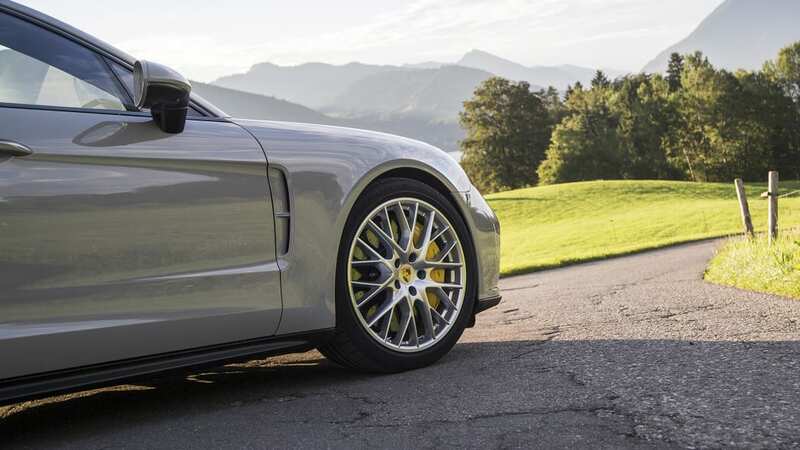 We couldn't really fault the old powertrains, but these are more modern, efficient, and powerful. 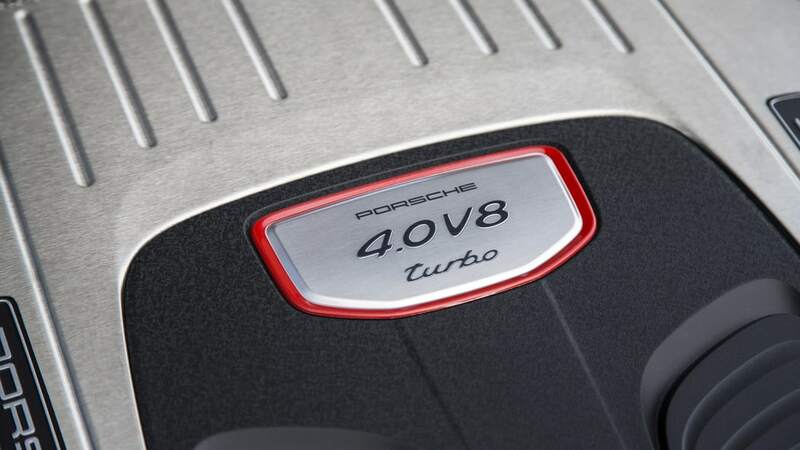 About the only issue pertains to sound – the Turbo has a nice note, but it's not loud enough with the standard exhaust. The new V6 does about as well as a turbo V6 can in the audio department, but it can't match the V8 timbre of the previous S models. That's progress for you. 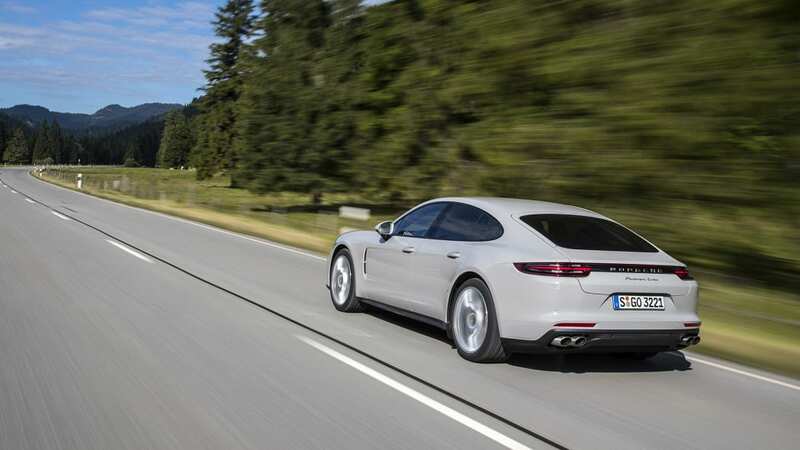 Porsche also figured out a very Porsche way to approach adaptive cruise control. 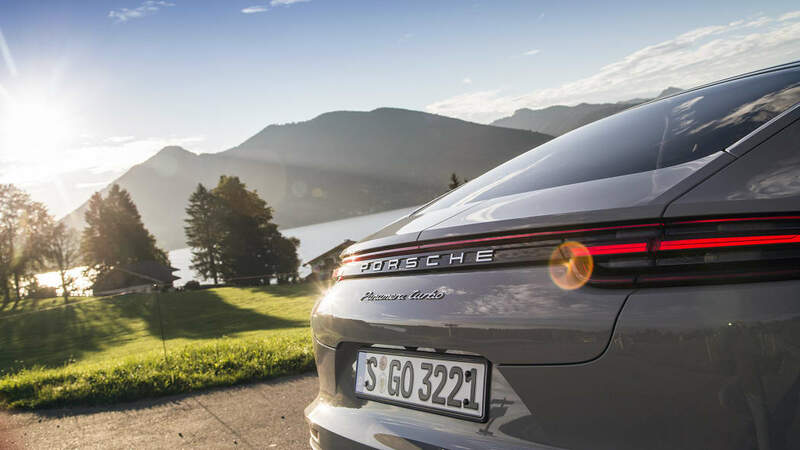 A new system called Porsche InnoDrive uses navigation data to take data like speed limits, topography, and road curvature into account over the next 1.8 miles. 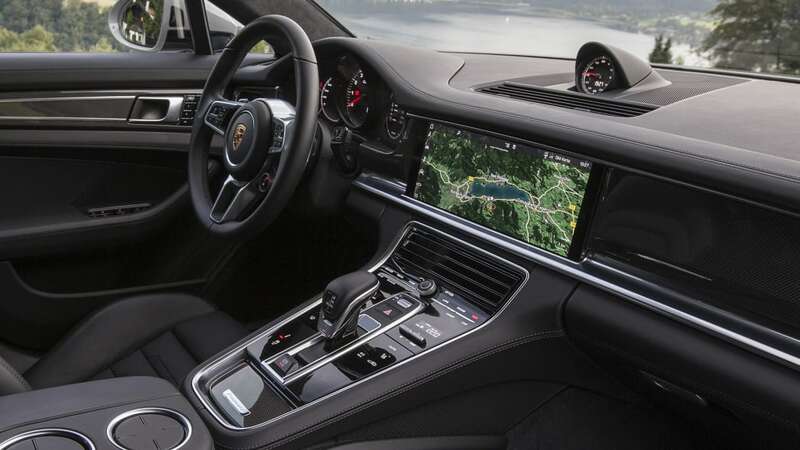 It then uses the radar and cameras to determine how to modulate the brakes, throttle, and transmission to keep you moving at a brisk pace. Other systems like this exist – Audi has one in the new A4 and Q7 – but the way Porsche calibrated InnoDrive is unique; the car doesn't hesitate to accelerate to the speed limit, and at times it will carry an extra mile an hour or two of velocity to get you smoothly over the next rise, speed limits be damned. 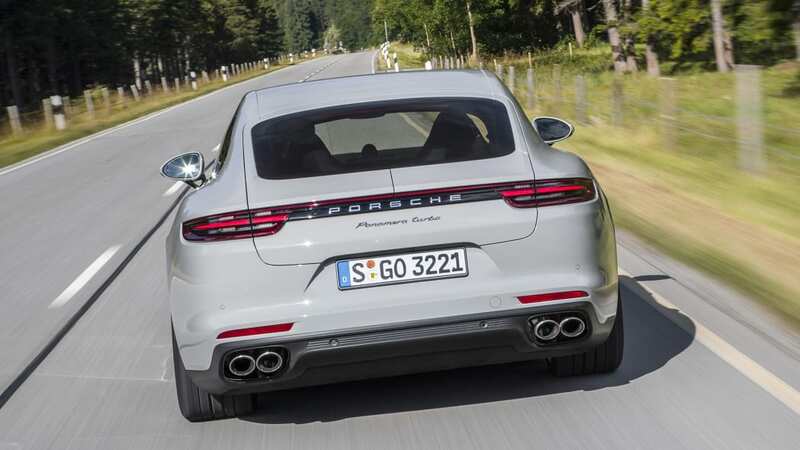 It also provides a thrill ride on the highway: We hit Resume on the cruise control stalk in an unrestricted section of Autobahn and held on while the car accelerated up to 210 km/h, the max speed set in a menu somewhere. It seemed like nearly all-out acceleration, as if the driver had their foot to the floor, far from the tepid throttle other adaptive systems respond with when asked to reach a set speed. 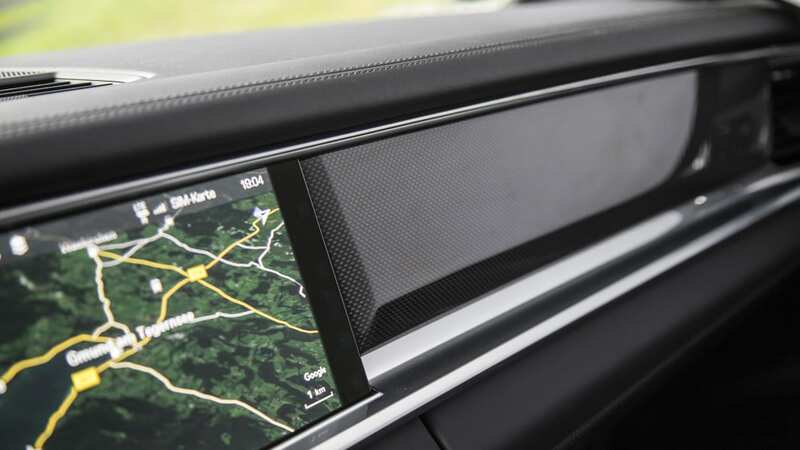 The system is also helpful when a nav route is set – it will slow down sufficiently so you can make a turn without braking, which also acts as a reminder that you need to turn. It's weird the first time it does it – weird enough that you'll marvel at it long enough to miss the turn. 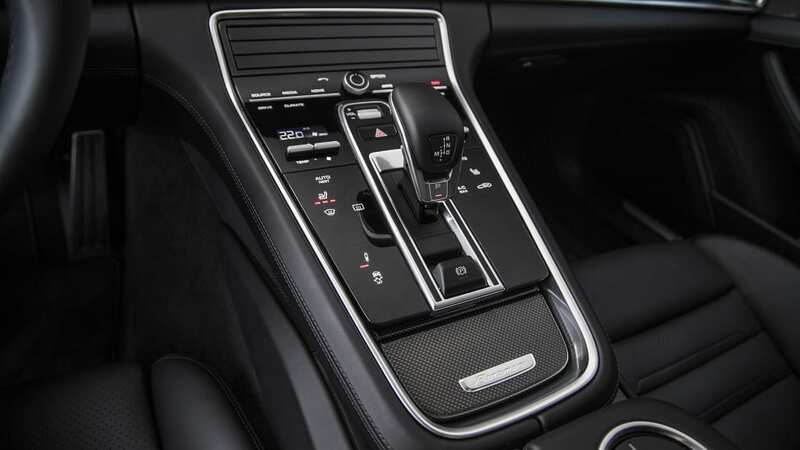 With all of this added technology, Porsche may have overreacted when it removed the buttons from the center console. 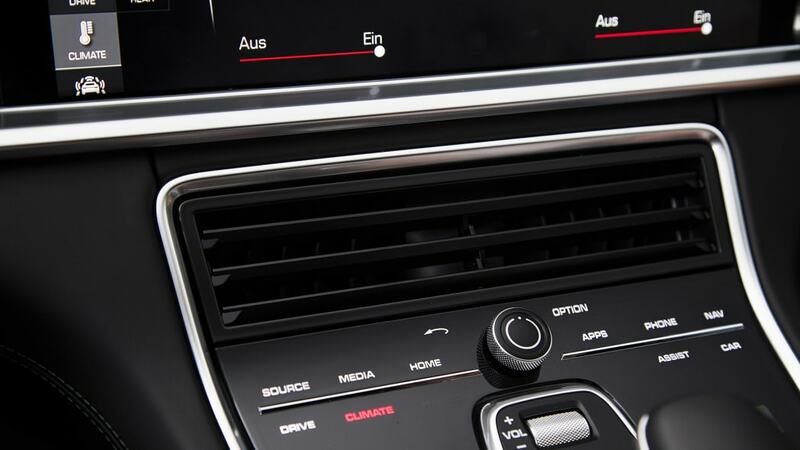 In their place are panels of virtual buttons that do the job of a real-life button, just without the physical delineation and pressability – the things we like about buttons. 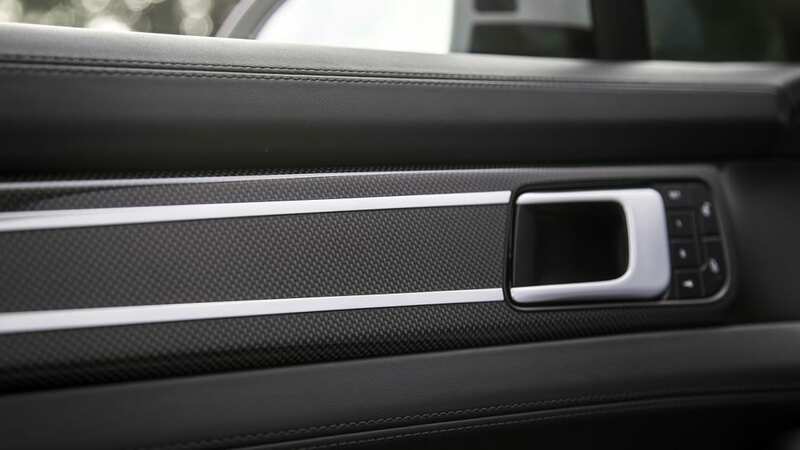 The center console is made up of two kinds of fake buttons. 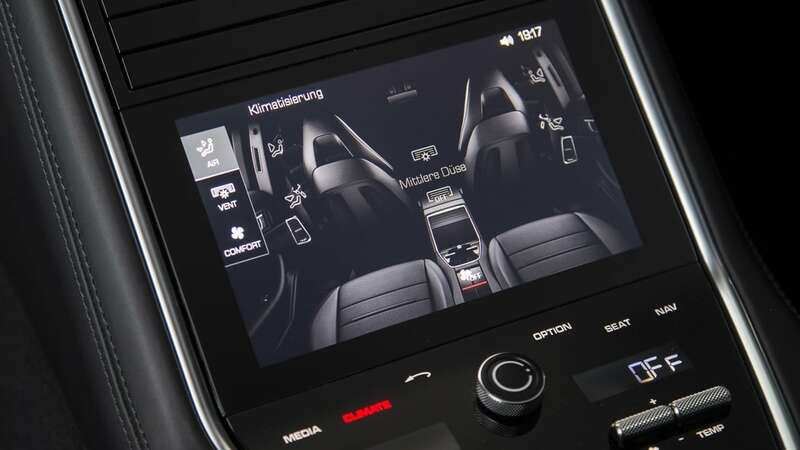 Up top are touch-sensitive panels that control what you're looking at on the huge center screen, part of the Porsche Advanced Cockpit system. 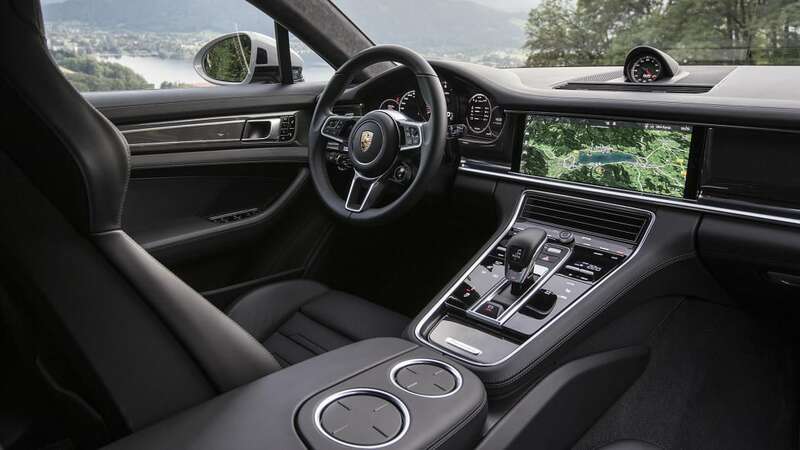 And below, flanking the electronic shift lever, are two flexible wings that control a variety of items, from stability control to ventilated seats. They all look the same and when pressed make the same (computer-generated) sound, but the touch-sensitive ones work with a light brush of a finger, while the panels lower down require a hard press (absorbed by the flexiness of the panels) to engage a function and then return button-like haptic feedback. 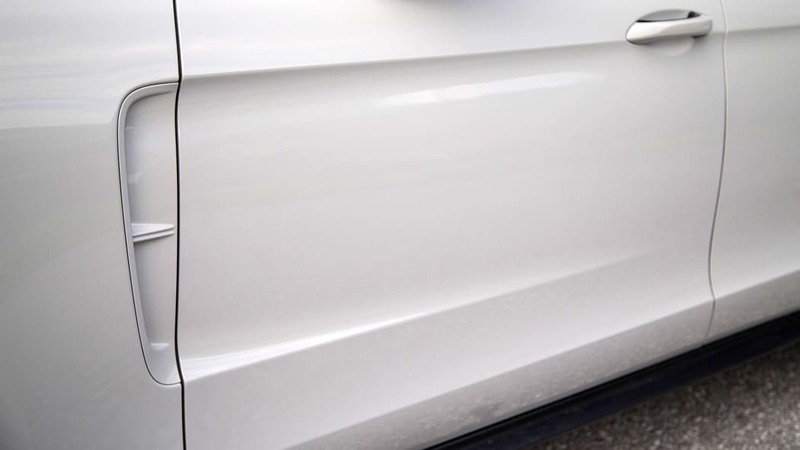 It seems like these surfaces were designed separately, and indeed we were told the decision to go fully button-free was made late in the game. 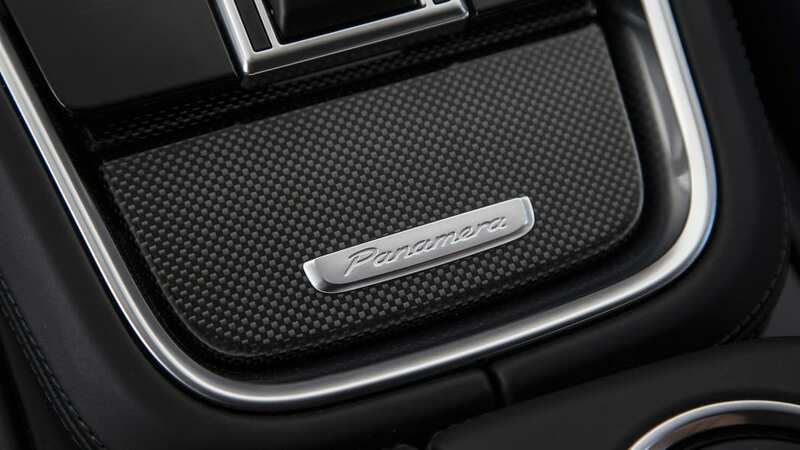 We will note here that we had no problem with the buttons in the original Panamera. And in reality, most of the spine buttons didn't go away entirely, they were either absorbed by these black panels or moved up into one of many touch screen menus above. That's fine for functions you don't access very often, like deploying the spoiler (it's better left to its own programming, sprouting and then hiding itself when speed dictates), but the many on-screen buttons have the unfortunate characteristic of not looking like buttons. 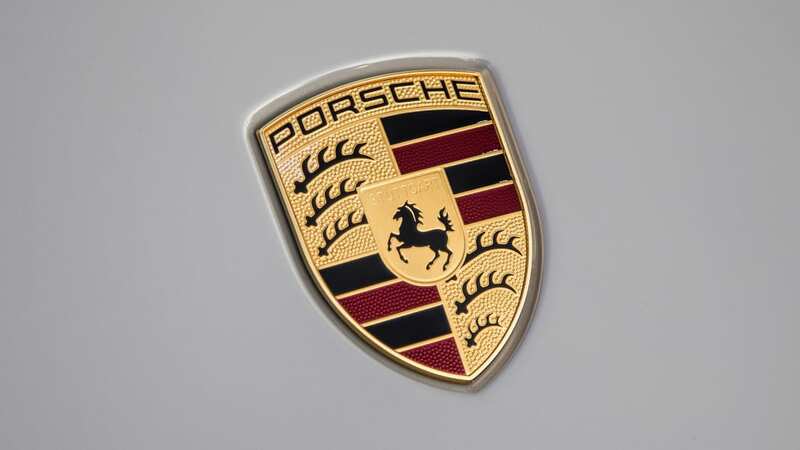 Most are simply an icon accompanied by a word or two, with no border or shading to hint at their buttonness. They are styled just like other pieces of info on the screen that aren't buttons, which further confuses the interface. Then there's the sliding row of menu icons docked to the left of the screen, which allows you to choose something quickly provided you know where the menu has been swiped up or down to. All of this makes it difficult to stab at what you want with a glance at the screen. So yeah, we have some issues with the "buttons" it turns out. 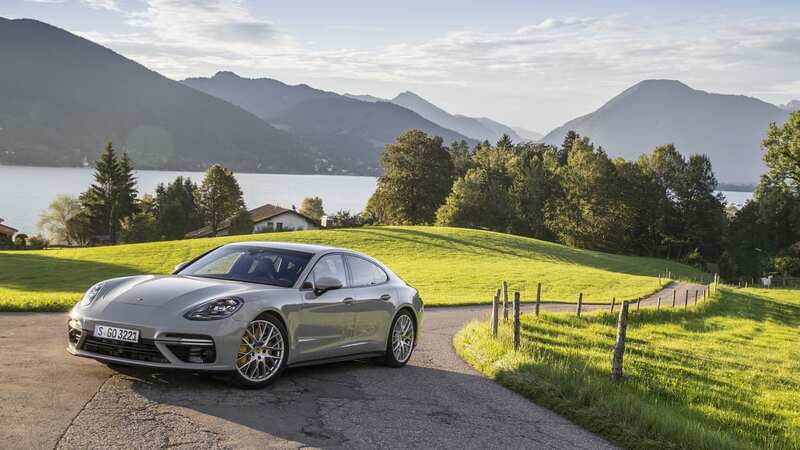 Aside from being a proving ground for Porsche button concepts, the main theme the Panamera carries over is a unique approach to the sport sedan, in both function and form. 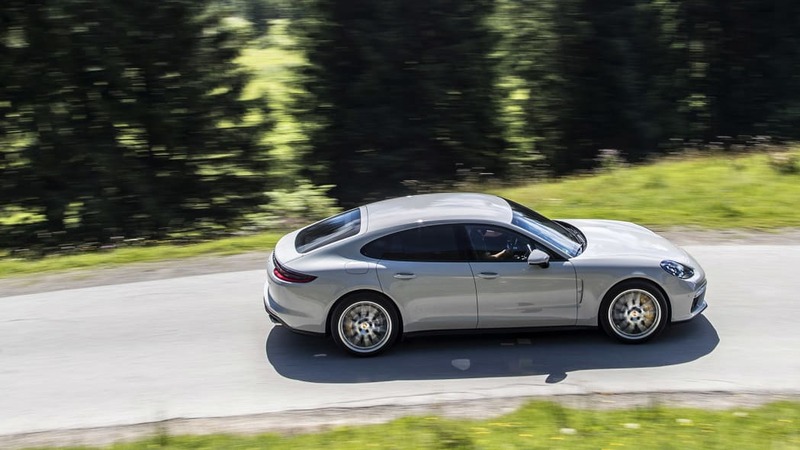 There are sporty cars for four people, and then there's the Panamera. That's always been the formula – now it's just a lot better.